In the meantime, I have a few other upcoming events that might be worth mentioning. On Saturday February 23, I’ll be holding a second session of my fiction workshop, “Writing Science Fiction that Sells,” at Mary Anne Mohanraj’s makerspace in Oak Park, Illinois. The first class went better than I could have hoped, and I’d love to see some new faces there. 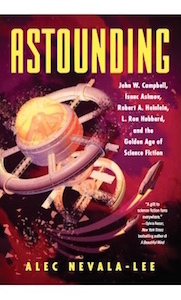 (For the record, most of the guidelines that I plan to cover—clarity, coming up with ideas, structuring the plot as a series of objectives, managing the information that the reader receives—apply to all kinds of writing, although they present particular challenges in science fiction and fantasy.) I’m also going to be appearing with the editor and critic Gary K. Wolfe on Monday February 25 at the Blackstone branch of the Chicago Public Library, where we’ll be discussing Astounding as part of One Book, One Chicago. Please spread the word to anyone who might be interested—I hope to see some of you soon!